The Rink Drink German Stein Beer glass is ideal for your own home Beer Festival. It is 20cm tall and holds 2 pints. 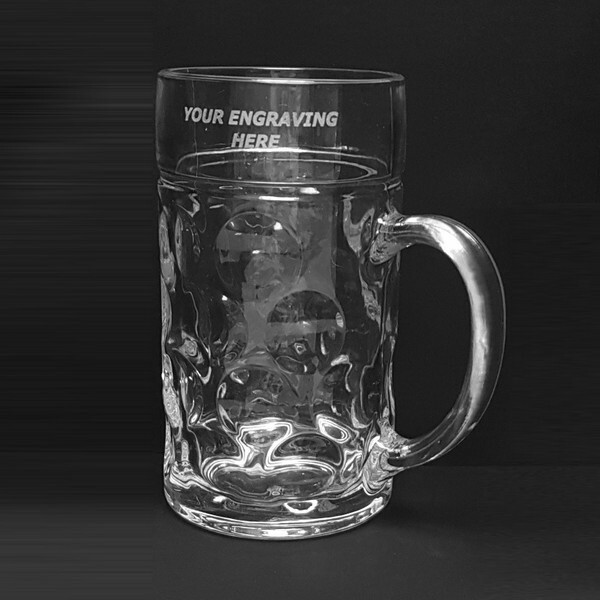 We can laser engrave your logo and wording onto this Rink Drink German Stein Beer glass FREE of charge so what you see is what you will pay. For more information on any of our glasses please email us or give us a call.